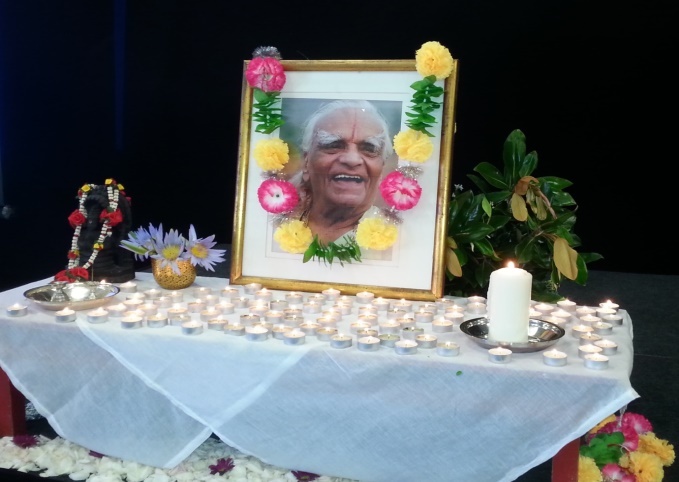 One of the afternoon sessions was devoted to tributes to Guruji, presented by students and teachers who had experienced his teaching directly or who were greatly influenced by him. Ruth had the privilege of expressing her own recollections dating back to 1983. I first encountered Guruji in 1983 at two yoga conventions, in Melbourne and then in Sydney, on his initial trip to Australia. I was immediately in awe of this penetrating genius with seemingly X-ray vison into one’s body and soul. Unexpectedly, he also had a contagious laugh and an engaging sense of humour. I knew then that I would have to go to India to be taught by this inspirational man. My original impression of Guruji was confirmed and strengthened over the years during my visits to the Institute in the late 80’s and early 90’s for intensives and general classes. As well as instantly recognizing a student’s physical problems, Guruji had an almost uncanny ability to ascertain immediately if a student was meek and mild, proud and arrogant, or sincere and devoted. He would treat people accordingly. For the Sadhaka, this was part of the journey of yoga. During those early years of attending classes with Guruji I never dreamed that I would one day have one to one interaction with him. After initially corresponding with him while President of our Association and when registering the Australian Certification Mark, I eventually had the privilege of meeting with him several times in the Institute library to discuss Association matters. I was amazed at how he would immediately stop his research or writing to give full attention to the issues in need of discussion. He listened attentively and then promptly gave his views with wisdom and insight. His mind so easily switched from intense focus on aspects of yoga to consideration of more mundane matters and he often intermingled the two. He was quick and astute. Most of all, I will always remember how Guruji’s beautiful consoling letter helped me through a personal tragedy. He cared deeply about his students’ well-being. He was compassionate. 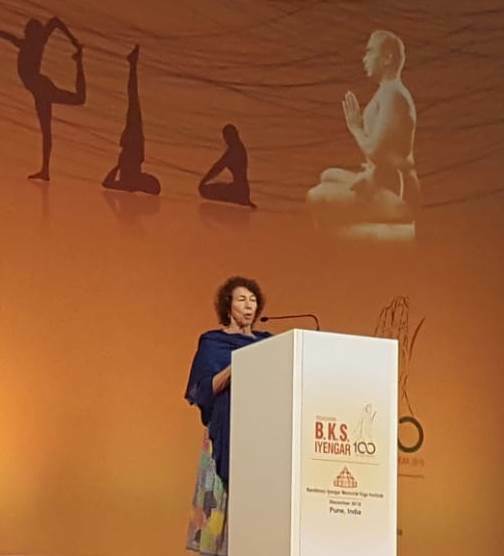 After teaching Iyengar Yoga for so many years, I find myself increasingly quoting Guruji and visualising poignant scenarios in his classes or during practice– as if to reinforce my memories so I never forget this incredible yogi and exceptional human being who has had such a profound effect upon my life. Sadly, Geetaji passed away on 16th December, after many years of serious ill health. Ruth had been taught by Geetaji numerous times both in Pune and in Australia, since the early 90’s. 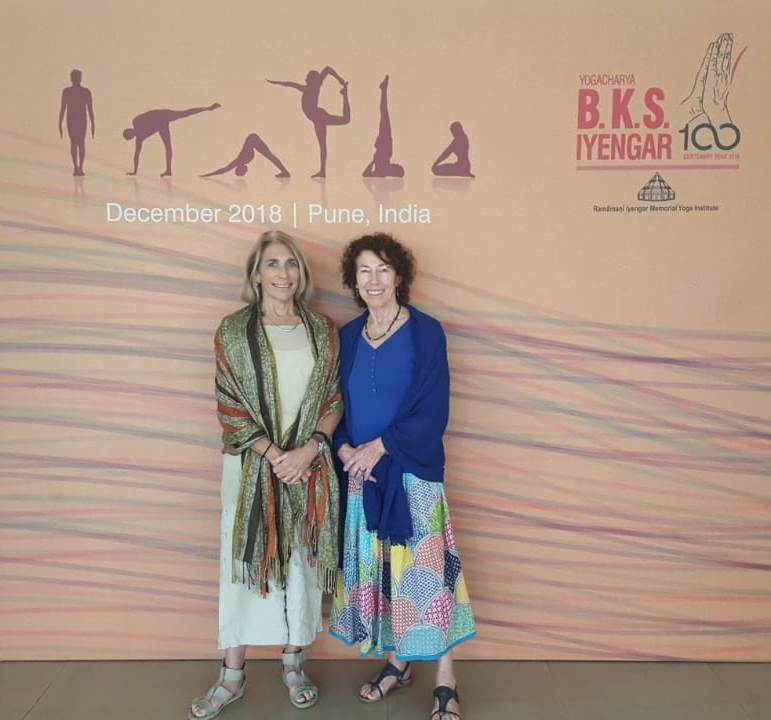 When President of the Australian Iyengar Yoga Association, she had frequent interaction with her in person and through letters and had cherished her contact with this extremely knowledgeable, determined and humane woman. Ruth and Penny attended her 60th birthday celebrations in 2004. 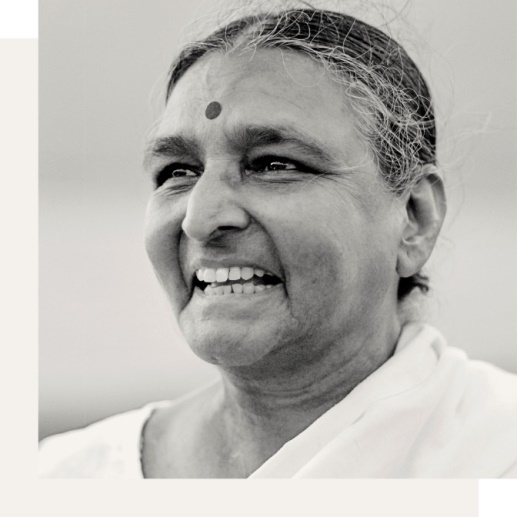 Geetaji’s passing has touched us profoundly and we are grateful to have been present at her last brilliant teaching sessions.